July 27, 2018, 9:08 a.m. 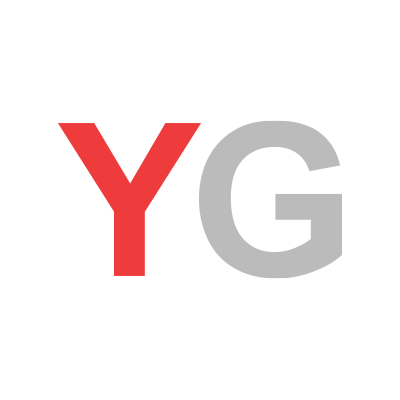 The latest YouGov/ Times voting intention survey sees the Conservatives on 38% (unchanged from our Sunday Times results at the weekend) and Labour on 38% (from 39%). 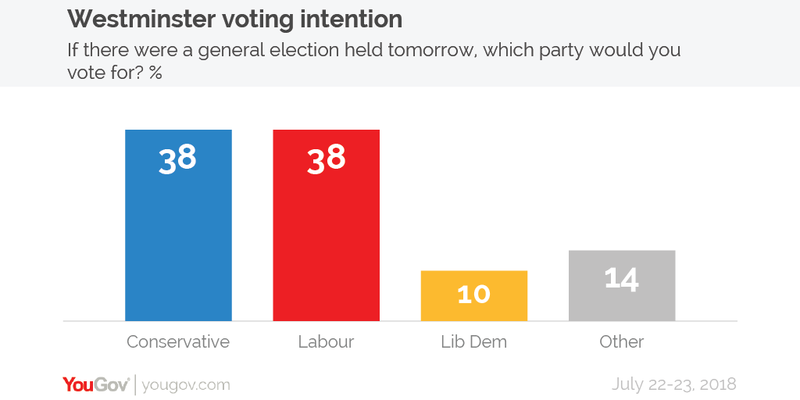 Elsewhere, Liberal Democrat voting intention stands at 10% (from 9%) while 14% would vote for other parties (unchanged). 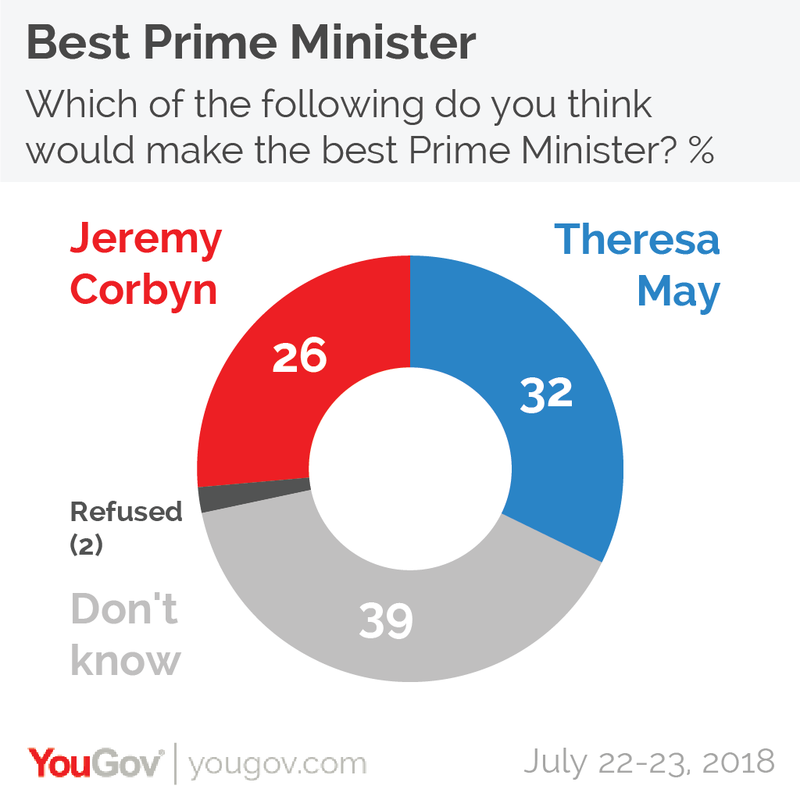 When it comes to who would make the best Prime Minister, this week&apos;s poll shows 32% of people prefer Theresa May while 26% favour Jeremy Corbyn. A further 39% answered "not sure" and 2% refused to choose. This weeks survey also contains the first "best party" results since the Chequers deal crisis. 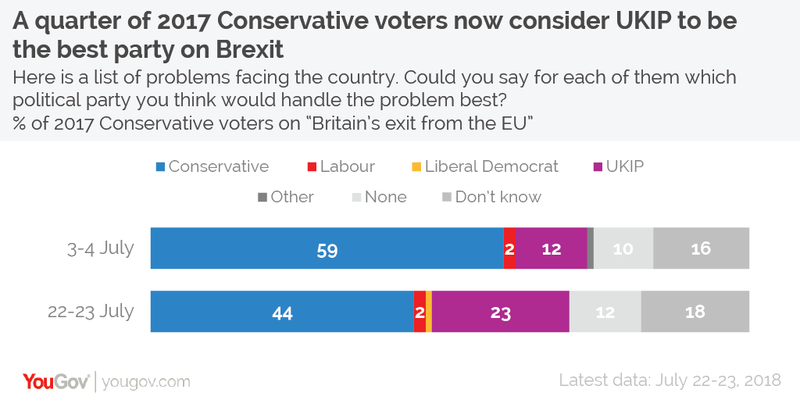 The results reveal that almost a quarter of 2017 Conservative voters (23%) now consider UKIP to be the best party to handle Brexit, almost double the figure it was at the beginning of the month (12%). Likewise, the proportion of 2017 Conservative voters who think that UKIP would be the best party to handle asylum and immigration has risen from 16% to 28% over the same time period. None of the other policy areas saw similar increases.